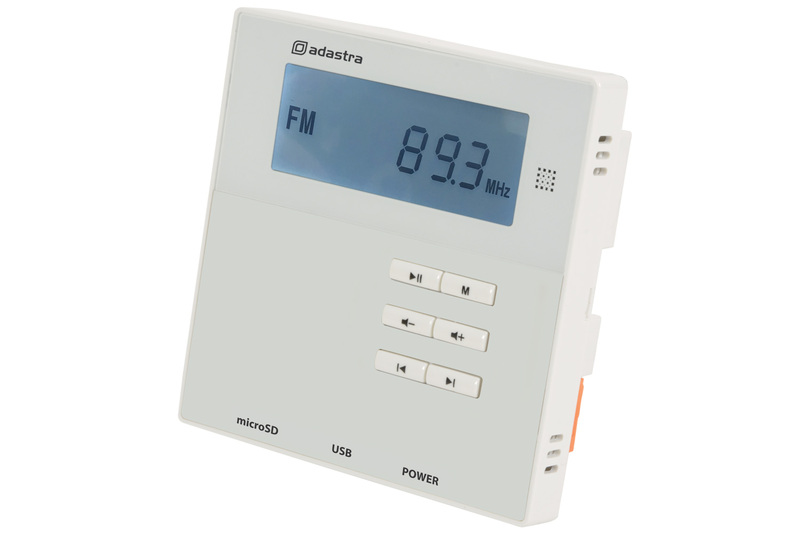 Väggförstärkare med Blåtand, SD, USB och FM. Perfekt i hotellrum, hemmiljö, skolor, samlingslokaler mm. 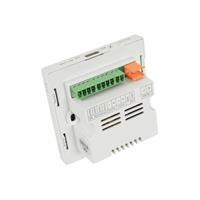 Compact audio controller with 2 x 10W digital amplifier built into a single gang wall plate. 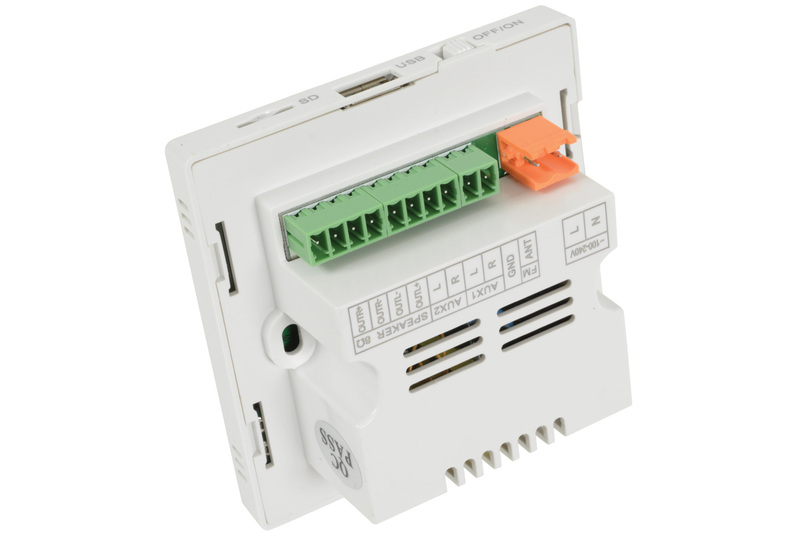 Powered directly from 100-240V mains supply, the unit can be installed into a partition wall or 38mm back box and provides a minimal yet fully functional control surface. 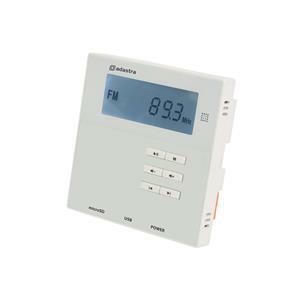 The WA-210 has an inbuilt USB/MicroSD audio player, an FM tuner and Bluetooth receiver. 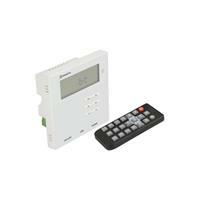 Key functions are operated from the front panel or by using the supplied IR remote control. 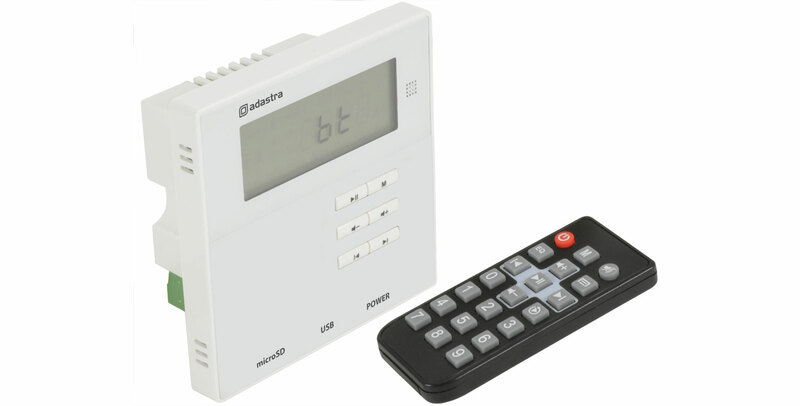 Connections for 2 speakers, mains power, FM antenna and up to 2 external line inputs are provided at the rear on screw terminal Euroblock connectors. A complete and versatile audio solution for wall or ceiling background music speakers in the home or commercial premises.